Here we have a handpicked list of best eCommerce WP themes. The themes are fully optimized to work with a large range of eCommerce plugins like WP E-commerce, WooCommerce, Jigoshop and much more. All of these are premium WordPress themes with pixel perfect designs and extensive functionalities to create your successful, unique and professional eStore. Before you buy your desired theme you should have a hosting space to launch your website. here we recommend few powerful and reliable hosting for e-commerce website. Check a2 hosting reviews and siteground reviews. When you begin with a remarkable product, then you can create incredible things. Created with eCommerce functionality, Shopkeeper is a completely responsive Premium WP theme with extensive functionality and pixel perfect design. The theme is flexible and fully packed with different options which make web development a simple task. Shopkeeper includes a Visual composer plugin which lets you create advanced layouts for pages, homepage and posts of your website using drag & drop front and back end editors. This theme also includes Slider Revolution plugin for generating outstanding slideshows for your products, images and content. Shopkeeper is one of the fastest WooCommerce themes available at present. It is a fresh and unique WordPress eCommerce theme which uses powerful WooCommerce plugins for creating versatile WP powered store, with unlimited skins and unlimited layout options. You can mix up your content on homepage with shortcodes and widgets, set layouts full width or the boxed style, select background color or set any of the fifty custom backgrounds, change your products style, set header color, or select from eight different sliders. It is a highly versatile theme that can be customized to fit in your business simply by changing some settings. You can sell all you want with MayaShop. This WordPress eCommerce theme is fully responsive, SEO optimized, has 8 sliders, 20 cufon fonts, 300 Google fonts, unlimited backgrounds and is child theme ready. Powered by WooCommerce, this is a great looking and creative eCommerce WordPress theme. It’s extremely versatile and fully responsive and comes with lots of great layout options and features that you’ll need to sell your services and products successfully. It provides a stylish method to show what you’ve on offer. Bazar Shop features a modern, organized and clean homepage layout which keeps the things to minimum and ensures that the visitors can locate all important information easily. It’s powered by popular WooCommerce plugin; therefore, not only you’ll be offered with extensive range of store features, but you also can edit as well as add items to the store easily. It also has some essential features like zoom effects on products, wishlist, filterable FAQs, and 2 customized checkout pages. Blaszok is one of the fastest selling eCommerce WordPress themes of all times. The developers of Blaszok have created a remarkable 22 unique demos. If you love what you see, then you can install the preferred demo on your site with Blaszok’s revolutionary 1-click installation feature. Blaszok also supports custom typography, endless customizations, 9 custom post types, 3 theme layouts ( full width, floating boxed and boxed), 35 header layouts, more than 400 vector icons and 45 shortcodes. The theme is also SEO optimized, offers smart search, WPML support, lookbooks, wishlist option, quick view, custom tabs, size guide and more. It is known as a creative eCommerce WordPress theme. If you’re in market for a very flexible theme for your online store or website, which can be configured easily for a range of projects, this can be an excellent option for you. Atelier is available for previewing with 12 diverse demo modes. The configurations and demo layouts can be copied easily to your WordPress site, by using impressive imported tool. Among the different demos, you’ll find pre-built layouts to create many ecommerce stores like food, clothing, cosmetics and furniture stores. This fully responsive and retina ready theme also has products preview slider option, individual pre-built pages layouts, multiple products page templates, drag & drop page builders, multiple product views and more. Blanco is a simple to use and clear WordPress eCommerce theme. It has lots of new features like powerful admin module, new product display on homepage, slideshow, extra blocks, links and so on. Blanco is one among the most flexible and powerful themes at WordPress stop. This theme is fully attuned with heavy shops which have a range of currencies and languages to create great convenience across the world. It is designed to change background and color easily. This WordPress ecommerce theme is fully compatible with WooCommerce and WP eCommerce plugins and the best fit for apparel, clothing store, mall shop, fashion store and any other WP store. It is a sleek, powerful and professional WordPress eCommerce themewhich offers a very elegant solution for people looking to sell their products online. So, if you wish to make an online store that has both, lots of features and great design, the select WooPress theme. 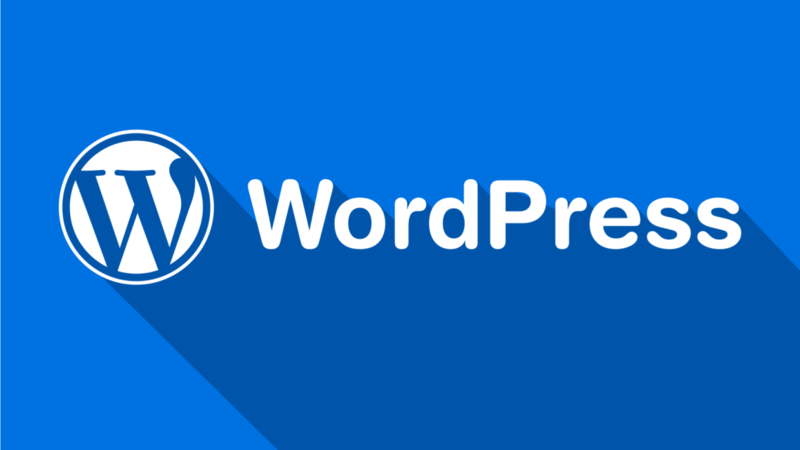 WooPress is an updated theme with latest WP eCommerce trends and it can deal with all technical stuffs on your behalf. You’ll get all elements that a premium WordPress ecommerce theme should have like Page Builder, Revolution Slideshow, shortcodes and even widgets. This theme is fully responsive with an adaptive and beautiful design, which means that all the layouts work great on all sorts of devices, from smart phones to large screens. So, choose WooPress and take your WordPress eCommerce site to next level. This is a very clean and powerful eCommerce WordPress theme which uses WooCommerce plugin for creating a flexible WordPress powered store, with many features and unlimited layout options. A few great features of Cheope WordPress eCommerce theme include unlimited sliders with eight slider types, Zoom effect in product details page, megamenu with image support, popup plugin incorporated to show news and offers, 2 customized checkout pages, List/ grid views in product pages, filterable faqs, shortcode manager with more than 200 shortcodes, 10 custom widgets, products sliders, SEO panel for SEO optimization and much more. It has included shortcodes for recent products, featured products, general products and best sellers. Abundance is a flexible and elegant WordPress eCommerce Theme, suitable for users without any coding knowledge and also for developers. This theme is created with marvelous WooCommerce shop plugin. Abundance comes with lots of option; therefore, you can easily modify the layout fonts, colors and styling directly from the backend. 16 predefined skins, 5 slideshows, color and font options and dynamic theme builder helps you make the site you need within no time. This theme is created keeping SEO best practice in mind. Abundance utilizes CSS and semantic valid HTML code so the search engines can easily index the contents of your website with ease. With this WordPress eCommerce theme, you’re well stocked to get higher Google ranking and draw visitors to sell out your projects. It’s a beautiful eCommerce WordPress theme with a striking parallax header which is sure to draw your visitors attention. Moreover, you can add text overlay together with call to action in order to directly send people to the most popular collections and products. This theme is cross-browser compatible and fully responsive to guarantee maximum compatibility with all browsers and devices and its clean code ensures that there isn’t any security vulnerability on your site. The whole theme can be easily customized on backend, from fonts to colors. You can also use translation files to make sure that people can shop from across the world. For those people, looking to build a theme from ground up, with eCommerce in their mind only, consider Basel. Basel, built around WooCommerce, Basel provides 10 different storefront demo layouts, covering all niches. Every page can contain lots of content, none of the demos feels overwhelming or cluttered. Product collections can easily be displayed in many different ways and products page descriptions can be described nearly as mini landing page. Every description can show full width images, calls to action, hero sections, and more besides, to immerse customers in their future purchase. Basel bundles lots of thoughtful plugins like WishList, which allows clients to create as well as manage the wishlists on your website. This is a very powerful WooCommerce theme having many custom eCommerce features. This is one of the best sellers and has many happy and satisfied clients. This theme uses custom plugins as well as additions such as Ajax Filter features in shop page or wishlist and even compares products plugins. What makes Tyrion theme cool is actually its features. It has retina ready and mobile friendly design along with unlimited parallax modules and parallax sliders. The users can utilize a different header on every page. It has more attractive features like optional added pop-ups, video support in products page, optionable quick view, SEO optimization, and more. Tyrion WordPress eCommerce theme is simply great. So get it and start enjoying it quickly. This is an elegant WP eCommerce theme with lots of features and it is one of the best themes for online stores. It comes with many premium plugins in order to offer a lot of features. It offers an advanced pages builder to compose a page with some elaborate grids, set background colors, add parallax effects, assign classes and IDs to columns and sections, and add diagonal sections. It also offers a plugin bundle which contains many other plugins like accordions and tabs optimized for all types of mobile devices, multi-layer slideshow which supports videos, advanced Google maps, pricing table optimized for the mobile devices, tooltips, lots of font icons, post, image and WooCommerce carousels, progress bars & pies, generator of message box, and button generator for creating infinite buttons. It is a very creative eCommerce theme suitable for any online business. Fully integrated with WooCommerce, Nantes lets you easily start your online shop immediately. It is simple to utilize its outstanding Page Builder and with its drag & drop feature, you also can structure the contents of your pages even without needing to touch the codes. Some of the great features of this theme include WooCommerce Support, Drag and drop page builder, Wishlist, Off canvas navigation, Off canvas cart, Advanced reviews, retina ready, intelligent and responsive admin panel, post format support, job board and revolution slider plugin. See also : Responsive wordpress themes for photography with e-commerce features. A fast, simple and dependable WordPeess eCommerce theme, Merchandiser comes packed with all you require to establish a very beautiful online shop. The theme is built to actually be fast when it comes to performance, minimalistic when it comes to design, and dependable when it comes to maintenance. Yes, Merchandiser is a great, minimalist design which focuses on efficiency and speed over the unnecessary features. The aim of this theme was to actually design something which offers all features that you might need without an added bloat which is generally linked with WooCommerce designs. Camy is a WordPress eCommerce theme which can be utilized for any purpose ranging from computer shop to camera store to cloth store. It has a design which is apt for all kinds of products. It’s intended to work with latest WooCommerce version and you can have the color of your choice. It uses a premium and unique drag and drop slideshow that can be easily seen on front page. This will offer your shop a unique and fresh look. You can easily change the main colors of the theme along with its background with a few clicks only. Although simple in its name, this theme is packed with tons of features. You can set up an online clothing shop using this theme. Boutique is fully responsive for people viewing your website on the go, whereas 20 pre-made homepages enhance your chances of getting a site launched quickly without any issue. It also has a mega menu, which is ideal for fitting decent amount of pages on your site. Featuring products on homepage is not a problem with Boutique, as it offers different modules and widgets for displaying most important ones. What is more interesting about homepage and all its modules is it has many animations tools and effects for making the products stand out. It is an all-in-one and sleek solution for businesses. Right from eCommerce integration to Responsive designs, Foxy includes all you require to get your business online. This theme finds harmony in balance of striking and simple design elements. This theme is great fun, but t does not lets anything gets in way of its functional and structured layout. The theme stays updated with latest WordPress versions. It is compatible with most famous internet browsers and uses the best coding practices to make sure that they’re secure and fast. Foxy has different shortcodes, responsive design, and many page templates. eStore offers an elegant theme for those people looking to sell their products online. This theme is simple to configure and provides integration options with a few of the most famous eCommerce plugins including Simple PayPal shopping cart and eShop. Also, because of the design’s open ended nature, added support for added shopping cart will not cause a headache. So, if you are looking to take your business online, get started with eStore. Attracting clients and selling products definitely will become simpler with this theme as an online shop owner for you. Also read: Best WordPress portfolio themes with e-commerce features. It is a spectacular WordPress eCommerce theme inspired by the modern eCommerce designs. It comes with the best eCommerce theme features in order to assist you display your business as well as products with ease. It includes a Visual Composer for drag & drop layout builder along with Revolution Slider, an excellent slider plugin. UberStore supports WooCommerce plugin also to help you integrate an eCommerce shop easily on your site. UberStore is translation ready also using WPML. It gives your site a glamorous look which makes your products/business standout and more noticeable.